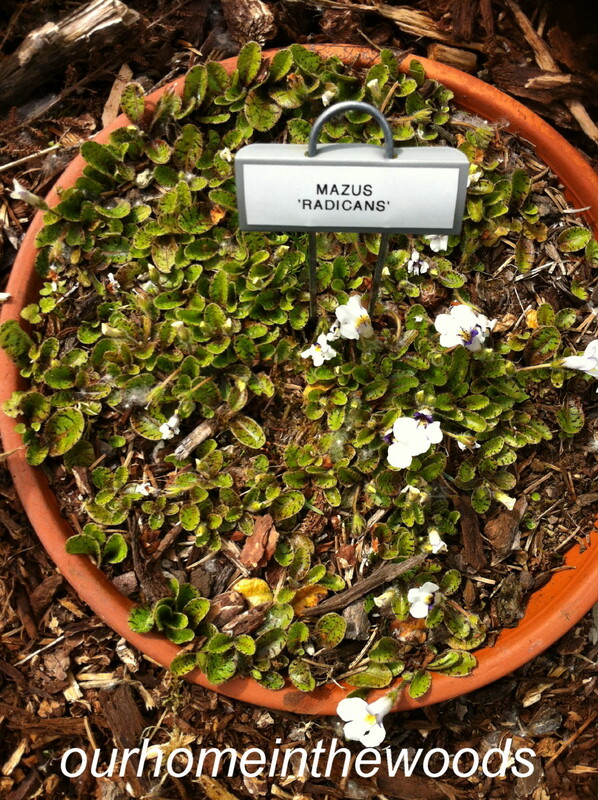 Mazus ‘radicans’ is a really cool, low-growing perennial in the lopseed family, Phrymaceae. This plant is generally found in damp habitats in lowland or mountain regions of China, Japan, Southeast Asia, Australia and New Zealand. (The previous info courtesy of Wikipedia) I don’t really know much about this plant except how it has preformed in my garden. I have never heard a nickname for it. In my garden it is in a pot that sits in the ground because it is so small, I was afraid it would get lost. I first bought this in a 3″ pot, two years ago. It has the cutest little fuzzy stems and bronze spotted leaves. This is the first year that it has bloomed. The flowers are purple and white and more than double the size of the leaves. I keep a cage over it because the bunnies find it very attractive. In my garden it gets some sun mid to late in the day. It gets watered when it rains (in the pacific northwest it rains a lot). It’s not unusual to get down to 8 degrees f. around here in the winter, and it seems to come though that just fine. It is considered to be a ‘steppable’, but it will not be used that way in our garden. 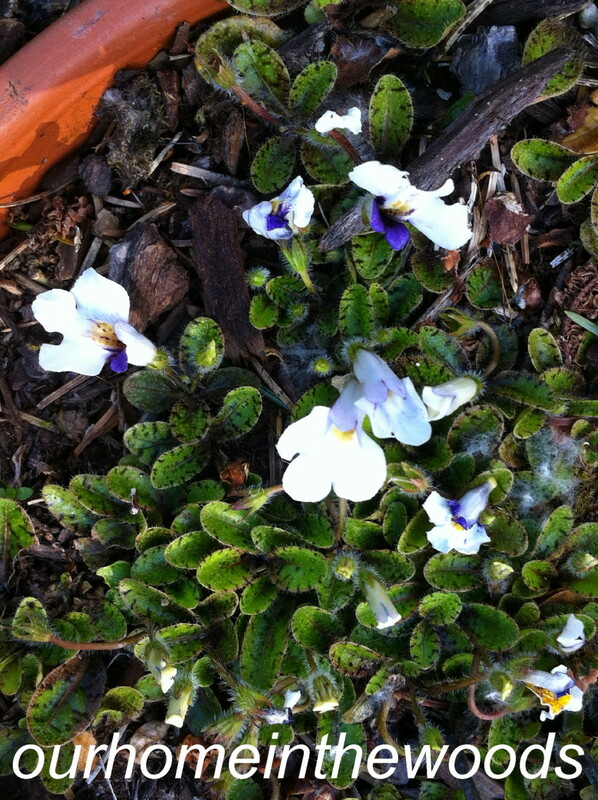 It has the teeny tiniest leaf perennial in our garden. It would be a great, though slow growing perennial ground cover.